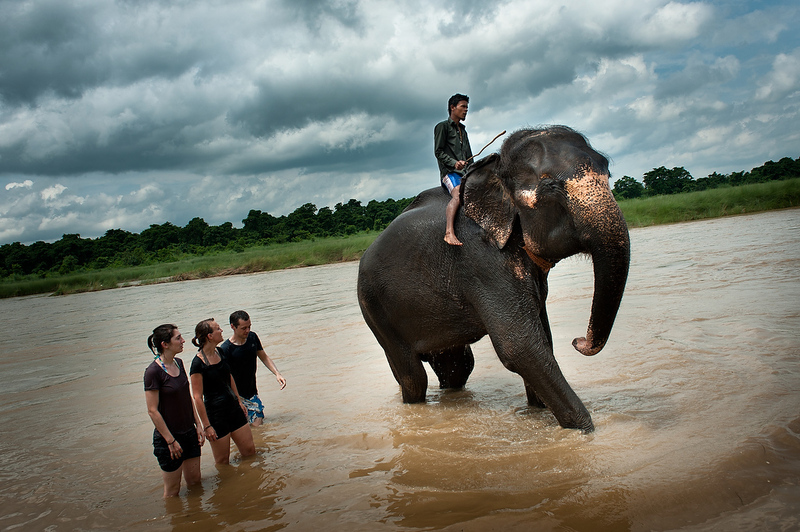 Foreign tourists watch the mahout guide his elephant out of river as the elephant finished bathing. Tourists are charged few dollars to be able to bath the elephant. Approximatelly 200,000 visit Chitwan National park every year boosting the local economy.